Battlefields operated by the National Park Service often contain a bookstore. You find material there you never knew about. In 1974 Harold Howard determined to publish a history of every Virginia regiment that served in the Civil War. The first book was published in 1982, the last in 2004. Each book contains a unit history and annotated muster roll including every soldier known to serve with the unit. Each is hardbound in grey cloth with the seal of the Commonwealth of Virginia on the cover. (www.bainesbooks.com/varegsrs.htm?.) Many are now out of print. I doubtless missed some. Bookstore breaks took place during a stop at the battlefield’s visitors center. I spent breaks pawing through the shelf of regimental histories as I searched in the index for familiar names. From that scattershot research, I compiled a list of Confederate soldiers in Virginia named Pannill. There are fascinating lives depicted in those histories. These were the Pannills I found in Virginia regiments of the Army of Northern Virginia. I drew the biographical information from each regimental history. This regiment formed out of several militia companies around Portsmouth. In this regiment served Thomas Pannill, who had attended Virginia Military Institute for six months in 1854. Thomas was one of the sons of Col. William Pannill V of Petersburg. Our branch of the family descends from his older brother Henry, the second son. Thomas enlisted April 20, 1861, became first lieutenant of Company E, then adjutant of the regiment. In November 1861 he became a captain. He resigned in August 1862 because of ill health. He apparently suffered from prolapsus, which made marching impossible. He died in 1919. (P. 100). Charles Pannill enlisted on May 17, 1861, in the Petersburg Light Dragoons. Charles’s father was also William Pannill V. That unit became a company in the 5th Virginia Cavalry. In 1862, Pvt. Pannill transferred to Company E of the 3rd Virginia Infantry. He became quartermaster sergeant. But Sgt. Pannill was discharged from the infantry on April 26,1862, and mustered into Pate’s Battalion of Virginia cavalry as a captain. This unit became the 5th Regiment (Rosser’s) of Virginia cavalry. Capt. Pannill was 24. On June 16, 1864, he resigned as commanding officer of Company K. He now enlisted as a private in Company B, 12th Virginia Infantry. He surrendered at Appomattox as a member of the 12th Virginia Infantry and received a parole. His residence was shown as High Street in Petersburg. Charles Pannill followed his brother Henry Pannill to Texas. One of his family tells me his descendants lived near Waxahachie and have migrated to the environs of Dallas. This regiment formed in the fall of 1861. Baldwin Pannill appears on the roster of Company I,the former Orange Rangers. He shows “present” on the roll for May to June, 1862. But he obtained a substitute, and a postwar roll shows him as “discharged” in 1863. James Bruce Pannill, who originally enlisted in the 26th Virginia Infantry, appears on a 1913 roster of Company E of this regiment, the former Georgia Hussars of Savannah, which had volunteered to join this unit during 1861. This regiment drew its men from Culpeper and the counties surrounding it. Many were farmers. Culpeper lies across the Rapidan River from Orange County. Jeremiah Woodson Pannill enlisted as a private in Company C of the regiment on April 30, 1861. That was a Culpeper company. On April 26, 1862 he became a lieutenant. George Pannill of Orange was appointed captain and commissary officer of this regiment in May 1862. But he resigned on March 9, 1863, because of illness and old age (he was perhaps 45). Capt. Pannill died March 10, 1899, and was buried in the Pannill Cemetery in Goochland County. William Harrison “Willie” Pannill, a farmer, was a private in Company K. Born in 1844, he enlisted at Richmond on June 1, 1861, but was discharged May 20, 1862, as under age (he would have been about 17 in 1861). But he re-enlisted that same month. The Union Army captured Pvt. Pannill at Hedgesville on October 22, 1862, and sent him as a prisoner of war to Fort McHenry. In November he was exchanged. The records show him as 5 feet 7 inches tall, of light hair and complexion and with blue eyes. He returned to duty on January 1, 1863. On August 25, 1864, Pvt. Pannill was killed in action at Reams’ Station. He was 19. The nucleus of this regiment was two militia companies in Petersburg, then one of the 10 largest cities in the South. The regiment was unusual in drawing educated recruits from the city rather than illiterate men from the country. Walter Pannill of Petersburg served in this regiment. He was another son of Col. William Pannill V (1794 – 1870), the progenitor of our branch of the family. William V had invited Thomas Jefferson to town in 1823 for the Fourth of July. He had been mayor and president of the South Side Railroad and served during the war as provost marshal of Petersburg. Walter Pannill provides the most intriguing résumé of all the three serving sons of William V. He was working as a clerk in his father’s business when he enlisted on April 19, 1861. He apparently lived in the family home on Jefferson and Marshall Streets. But Walter deserted the regiment in July 1862. He rejoined voluntarily in March 1863 but was tried by court-martial in May on a charge of desertion. The court pronounced him guilty and sentenced him to hard labor. But introduction of new evidence caused the court to reverse the judgment and release him. On the retreat from Gettysburg in July 1863, the Union Army captured Walter. By April 1864, the Union had exchanged him and he had returned to the 12th Virginia. In October 1864, the Union again captured Walter, but again he apparently was exchanged. By 1865, Walter had joined the Confederate Secret Service. The Union again captured Walter, this time in Washington, D. C. The Union tried him and sentenced him to death as a spy. In one of President Lincoln’s last acts, he commuted Walter’s sentence as General Lee surrendered. The regimental history ends this tale laconically ( “possibility Walter was a double agent”). Walter moved to St. Louis, where he died. 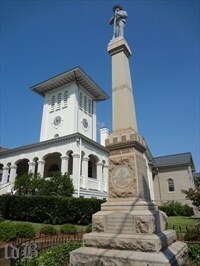 The town of Orange, Virginia, the old family seat, erected a monument at the courthouse to the Confederate dead. This monument lists a John Pannill from Company C, 13th Virginia Infantry. I did not find a regimental history for this unit and have no biography for him. THEY FOUGHT FOR THE RIGHT. THEY DIED FOR THEIR COUNTRY. This regiment was raised from Gloucester, Mathews, and King and Queen Counties. Company K was the Gloucester Grays, whose commanding officer was Capt. Patrick Henry Fitzhugh. James Bruce Pannill enlisted in Company K in October 1861. In November he was promoted to 5th sergeant. He transferred to Company A in August 1862, but no further record of him was found. This regiment, organized at Lynchburg, was raised from south central and southwestern Virginia. John Morton Pannill had been a student aged 18 at V.M.I. in 1860. He enlisted as a private in the second company of volunteers from Henry County. 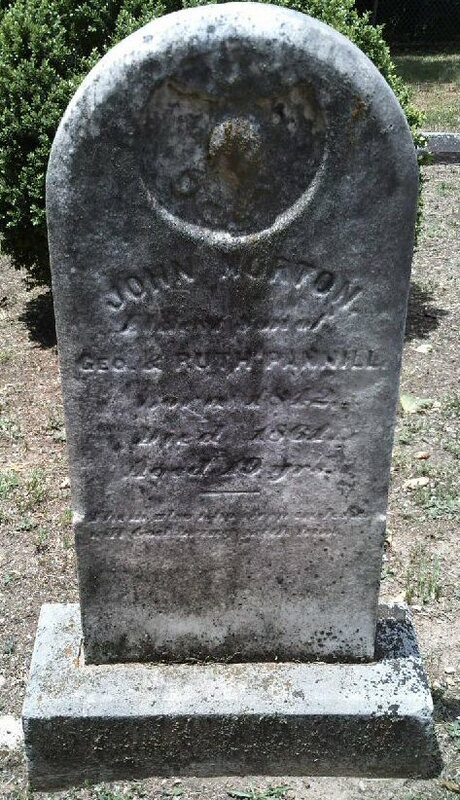 But he died in November 1861 of tuberculosis contracted at V.M.I. He was 19. I need to find the court-martial records. Gotta become a researcher. I’d also like to find Lincoln’s commutation. I found a ms. in the public library in St. Louis by Walter but don’t have it yet. I have a wonderful picture of Willie Pannill in uniform & would be more happy to send a print. It would be a great pleasure to send Willie’s picture. My grandmother, Ruth Campbell Shumate (1878-1971), Henry County, gave it to me many years ago. On the back of the original she wrote “My uncle Willie killed in the Civil War”. As you will see, he’s dressed every bit the part of Capt. Graham’s 10th Va cavalryman. Also, I have what I believe to be a daguerreotype of him in uniform but a different uniform similar to a cadet’s & a few years earlier perhaps. I’ve never had it out of its period frame. If you’re still looking to find that manuscript, I can help. I live in St. Louis. Thanks for your offer to help. I’ve followed your career on the internet. Do you have a fax, or I can mail to your home address. I’m really curious about Walter Pannill. Thank you for your time a desire to inform us of our ancestry. William, did you do your DNA test on Ancestry.com? I am a Pannill and I did the DNA through ancestry.com. I’m also on GEDmatch.com as well as my Aunt’s (dad’s sister). Would be interesting to compare DNA. I’d like to compare DNA, but I have done mine through Family Tree DNA in Houston, which I believe is the world’s largest. However, I also have a DNA printout from Oxford Ancestors from 10 years ago. I can make a color copy and send that if you can decipher it (I can’t). I find all of this very interesting. I am cousin to Barbara Pannill Tripp…My dad and her were first cousins. We also received a letter in the mail from you I believe. I know very little about the Pannill side. I find this interesting. My great great uncle William Pannill of the 10th Va Cavalry killed at Reams Station Va in 1864.